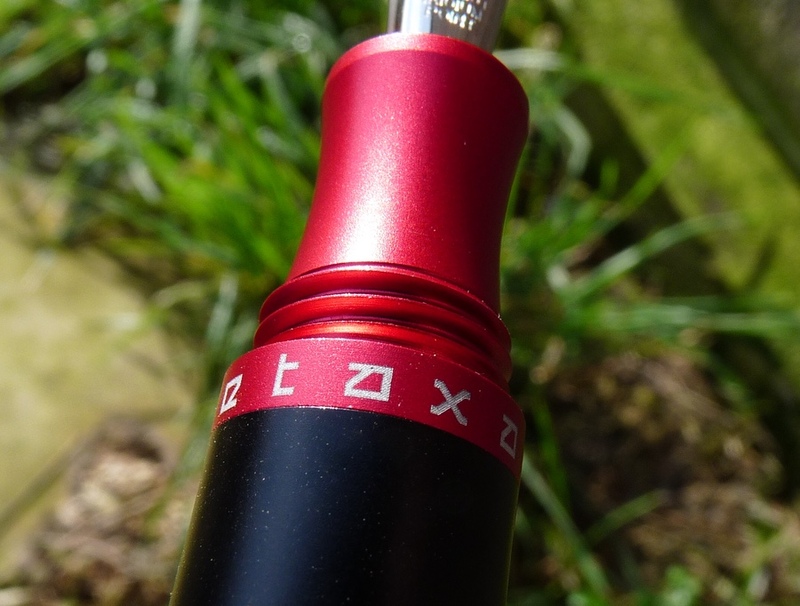 Metaxas Stylos Color Fountain Pen Review – Pens! Paper! Pencils! The Stylos Color is a pen I backed on Kickstarter, designed by a gentleman called Kostas Metaxas. 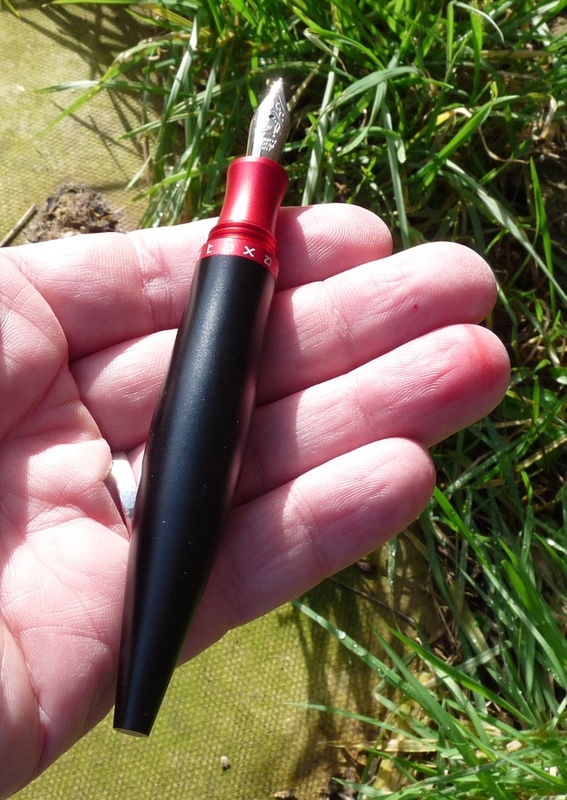 Although, as far as I can tell, it isn’t available to buy anywhere, Kostas has just finished his fourth Kickstarter campaign on a variation of this pen (all but the first one being successful) so there’s a fair chance he’ll be doing another one which will give you a chance to back something like this for yourself, should you so wish. What drew me to this pen in the first place was the design. I’ve not seen any other pen like it. It looks very Greek and it really appealed. 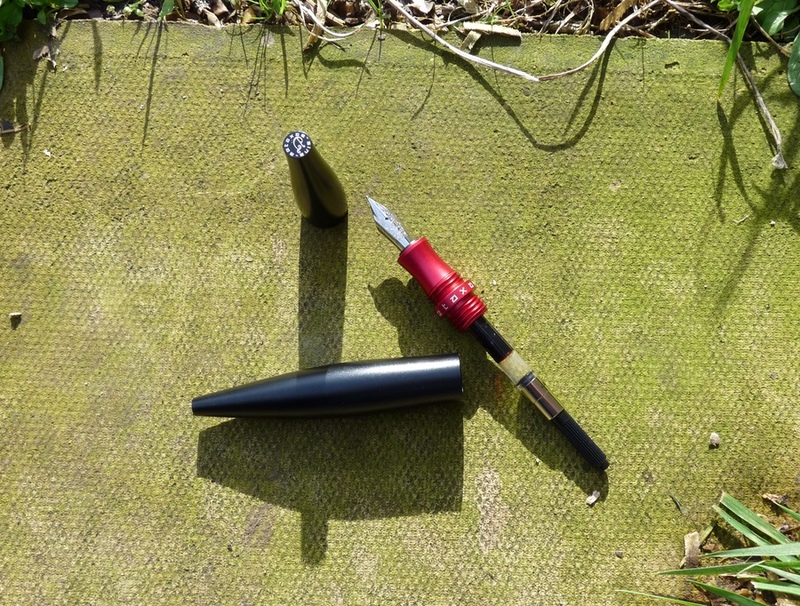 There were ten different colour options and you could mix and match the barrel/cap with the section. 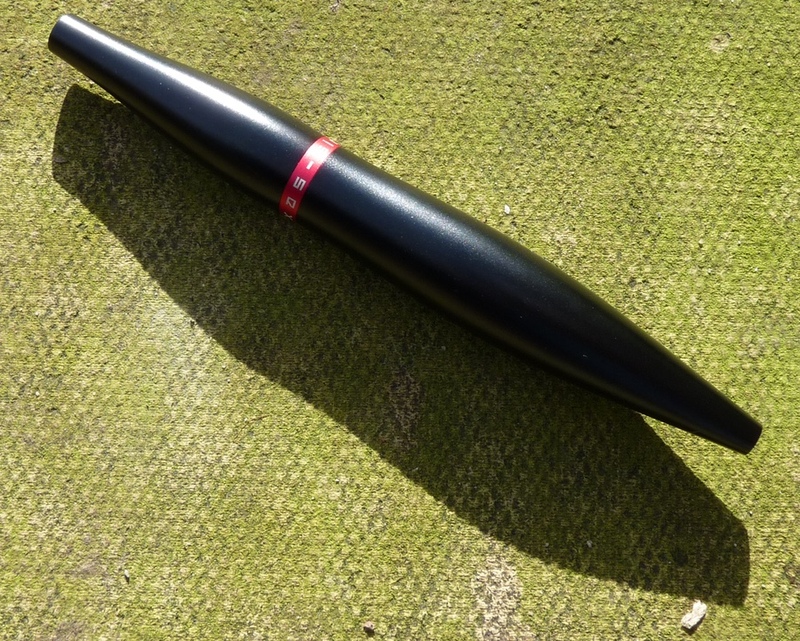 Although this pen looks great, it doesn’t look as if it will be very comfortable to hold. Looks can be deceiving though and it feels great in the hand. The contours of the barrel mean it rests nicely in your hand and the shaped section sits comfortably between your fingers. (Although it’s a metal section the combination of anodising and shape means it doesn’t get slippery.) It’s light without feeling insubstantial. The only issue when it comes to comfort is the threads as these are quite intrusive and, with my fat fingers at least, dig in a little. 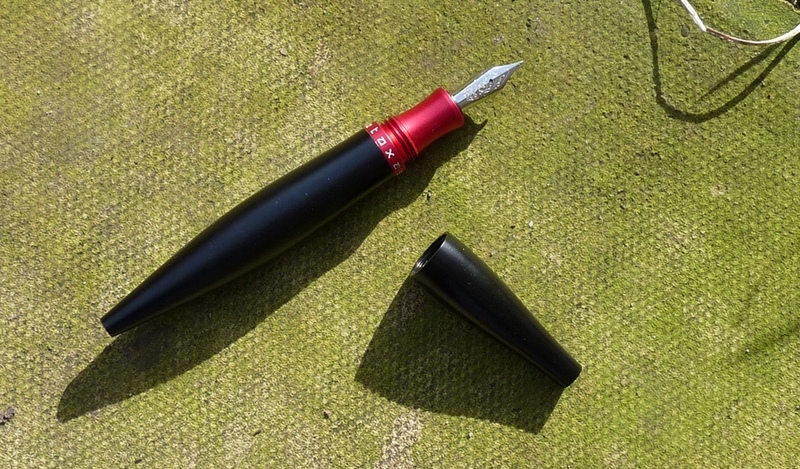 That said, this is still a pen that lends itself to extended writing sessions. The cap doesn’t post and there’s no clip. A clip would look terrible on this pen. Because both the barrel and the cap screw onto the section, it’s easy to unscrew the barrel when you’re trying to unscrew the cap. The way to avoid this is to hold onto the band (coloured red on my pen) when you unscrew it. 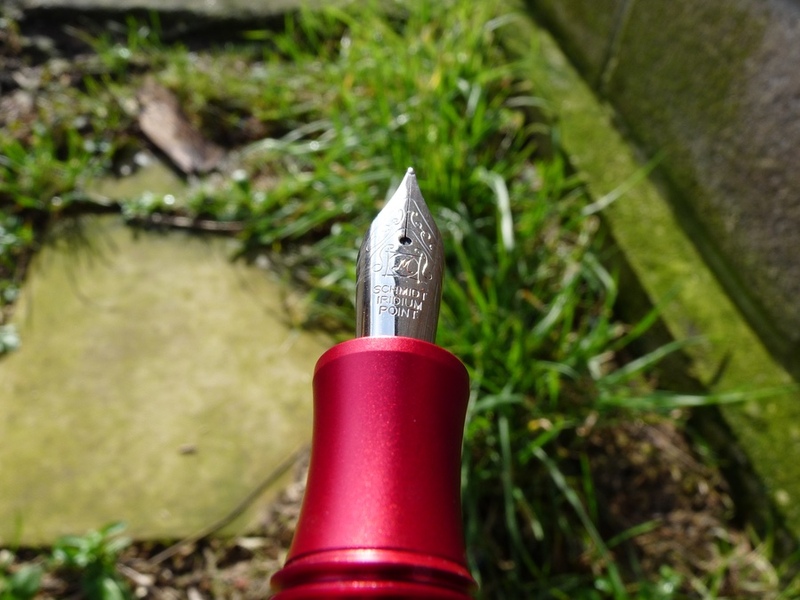 The nib is a #6 stainless steel Schmidt. I’m not a huge fan of Schmidt nibs, I find they lack character, but the medium one on this pen is okay. It’s smooth and flows well. It uses standard international cartridges or converters, giving you lots of options. I really like this pen. 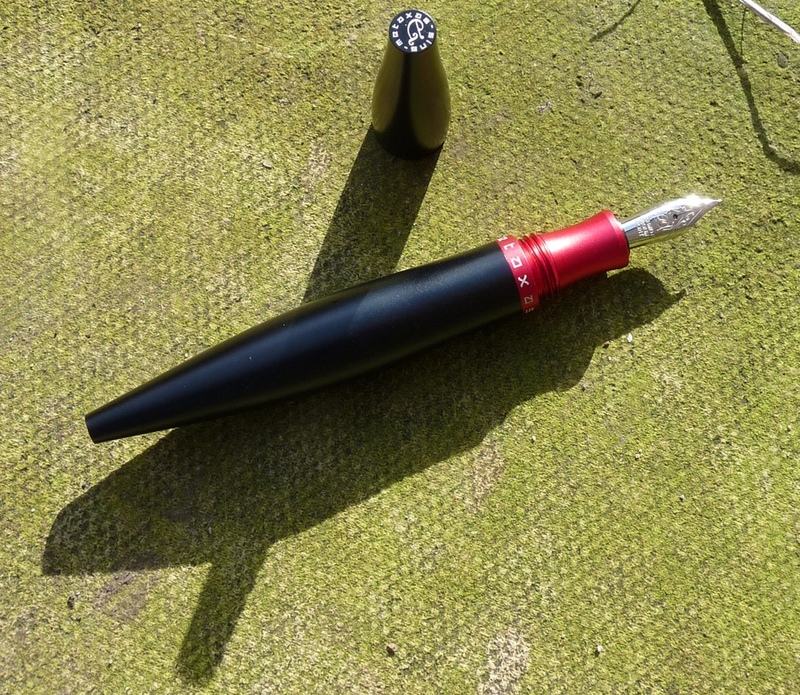 It’s well made, interesting to look at and comfortable to write with. It was also very good value. I recommend keeping an eye open for future Kickstarter campaigns from Kostas. Good find! Thanks for letting me know. I’m afraid you won’t get one of these for £33, Ian. €85 is the going rate – but La Couronne had one in purple… you can guess the rest!